When traveling to Puebla on business or as a tourist, choose One Puebla Finsa, an affordable hotel located close to the top attractions in the city. Named a UNESCO World Heritage Site, today it is a hub for important industry, business and trade. The hotel is located south of the Mexico-Puebla Highway, across from the Volkswagen Plant. It's very easy to arrive from Mexico City, Tlaxcala or Veracruz. It's one kilometer from the Finsa and Bralemex Industrial Park, ten minutes from the 5 de mayo Industrial Park, ten minutes from the Xoxtla industrial zone, fifteen minutes from the Puebla 2000 and Resurreccion Industrial Park and twenty minutes from the city's airport. To take a break and find some entertainment, the Outlet Puebla Shopping Center is just two kilometers from the hotel and hosts high-end stores, restaurants and a food court. Visit the famous Africam Safari zoo and from One Puebla Finsa, it's easy to access the ecological tramway that will take you to this famous park. Do not know why people call lame hotels, business. Rooms area really small for a hotel in the middle of nowhere.. views are terrible we saw cattle and dirt. And what is terrible is that the room had bad smell and was really untidy... I was looking for something to spend the night before hitting the road.. my wife made me promise her never to stay in a hotel like this, a shame, one knows they will be motel like properties but one will expect something at least clean given the brand company. "Average ... it is convenient though!" Average ... it is convenient though! Designed for business travellers and it is just that. Right off the highway across from the VW plant. Breakfast is underwhelming and rooms are basic but admittedly clean. No good rooms , due the pillows are horrible size ( too small) and very hard) The bathroom area is too small; I'm not big body person, and i had issues to get inside., beside to noise, all noise from next room you are able to hear. "Poor hotel never stay there again"
I have stayed at several One Hotels and this is the worst. Got a queen bed very thin sheets and a single size mattress protector. Also the noise from the room next door was very noisy all night, I did not sleep all night, I would have been better to sleep in my car. Total waste of my money. This room has been specially equipped to provide comfort to our special guests. The room has the same amenities as standard rooms but is wheel-chair accessible and provides safety rails for the shower, toilet and tub. It also has cable TV, Internet, a desk and a queen size bed. This room is connected to a room with two twin beds. 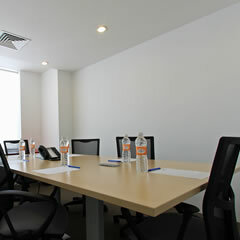 The comfort and security of these rooms provides the rest you need to prepare for your next endeavor. They're practical, simple and equipped with a queen size bed, cable TV, desk, air conditioning and heat, wireless Internet and phone with voicemail. Modern and simple, giving you comfort and only what you need. Offering a very enjoyable rest and featuring two double beds, desk, closet, air conditioning and heat, wireless Internet, phone, voicemail and cable TV.